Each week THP has tons of fun contests that involve some of the coolest things in golf being given away. When there is a big event, we like to do things a little more grand and this year for The US Open we have something very cool. WIth the big USGA event less than 2 weeks away, we thought we would get this contest started. THP & Srixon Golf have teamed up to give away something fantastic for the 2nd Major of the year! The winner will receive a brand new Srixon Z-Star Driver fit to their specs! The standard shaft in this driver is the exceptional Miyazaki Dromos which, by all accounts, is one of the best on the market today. As with all of our major contests, we have something fun and unique for this one to celebrate Srixon staffer Graeme McDowell’s anniversary in winning his first major last year. Click below to find out the rules of the game and exactly how to enter. Good luck everybody. What an amazing contest! One lucky forum member is going to be very happy after this one; I play the Z-Star and absolutely love it. Big thanks to Srixon and THP!! Thank you so much to Srixon for sponsoring this contest! They always make the majors just that much more fun to watch. And of course thanks to THP as always! Love the features that this driver has. The winner will be a lucky golfer. Thanks to THP and Srixon for the great contest and prize! Really sick contest. I was going to buy a Z-Star off of eBay tonight, but now I’ll hold off. Huge thanks to Srixon and THP for giving all of us this opportunity!!!! Wow is all I can say. A special thanks for making this possible! These manufacturers treat us so well! Thanks to THP and Srixon! Awesome contest! Someone will be walking away with a great driver. Thanks to Srixon and THP! THP makes EVERYTHING that is golf BETTER. Thanks THP and Srixon for this amazing opportunity!!! Again awesome job THP and thanks to Srixon for allowing us to have these sweet contests. I hope I win. I snapped the RIP shaft in my R9 SuperDeep this afternoon and this would be an absolute awesome replacement. Another amazing prize. I am usually terrible at these, but I’ll give it a shot for fun! Nothing like some awesome Srixon/Miyazaki products to make the Open interesting! Yet another great contest by THP. Pairing up with Srixon at the US Open, sweet! This is going to be awesome for one lucky winner. Thanks again to THP and Srixon for bringing this to the table. Another awesome contest, thanks THP and Srixon. What a great prize. I would love to win this. I have heard nothing but great things about this driver. The US Open just got a lot more exciting thanks to THP and Srixon! At a recent Demo Day I had the pleasure of hitting a Srixon Z-Star Driver. I only had time to hit 4-5 balls, but it felt really great. Thanks for the opportunity THP and Srixon! What a great contest, thank you to THP of course but I big thank you to Srixon for sponsoring the contest. Wow!!! What a great contest from a great golf site and a super company. Thank you THP & Srixon for this great opportunity. And good luck to all who enter, I know I will be entering. Thanks THP and a special thank you to Srixon. Nothing better than a great contest with a fabulous prize to make a Major more enjoyable. 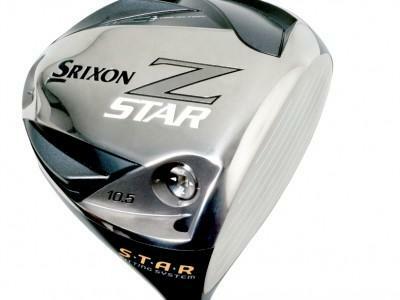 That Z-Star driver is just SICK looking. What an awesome prize!!! Thanks THP & Srixon for making it happen! Thanks SRI for participating with a killer prize like this! Major Championships are always great, but this is just icing on the cake! Yet again THP makes a great connection! Thank you Srixon for providing the prize and THP for hosting the contest! LOVE these major contests! THP comes through with another huge contest. Thanks THP, and Srixon, and good luck everybody! Amazing! Thank you THP and Srixon! Special thanks to Srixon for this contest, and for providing such an awesome prize. Thank you THP and Srixon! What an awesome contest. I didn’t think watching the U.S. Open could get any better, but now it has, as I will be rooting for a few players. Whoa! What a great contest. Thanks THP and Srixon! Hope someone who wins it loves it as much as many of our customers do!! Thanks to THP and Srixon for an amazing contest! Holy awesome contest THP!! Big thanks to THP and Srixon! Props to THP and Srixon for another great contest! Love it!! Thanks and Thanks and Thanks to Srixon and THP!!! THP brings it once again by hooking up with one of the hottest OEMs out there! Thanks to Srixon for the great prize, this contest should be much fun! Thanks Srixon and THP for bringing some extra excitement to the US Open!! Keeping fingers crossed. Thanks Srixon and THP–great contest! Super cool contest from THP and Srixon! Great job and thanks, this will be a blast to the end. Great contest Srixon! Love what Srixon brings to the game! Thanks THP and Srixon for this great contest. Thanks for this contest. I love my Srixon TriSpeed Tour Yellows as well as my Never Compromise GM2 Putter. Hope to add a Z-Star driver to the bag after this contest! I’m in on this one. I’ve been using Srixon balls for a while now and the new forged irons look great! I can’t imagine the Z-Star driver not being of the same caliber workmanship and engineering. Thanks to THP and the folks at Srixon for the chance at the new club! Amazing contest!! Thank you THP and Srixon. This is my favorite driver on the market as of right now and its amazing how much technology is packed into it. Some very lucky THP’er will take home a wonderful prize. THP comes through as usual with a great Major Tournament contest. Thanks Srixon for providing an excellent prize! Another great contest from THP! I signed up. The Z-Star would be a great driver to have in my bag. Srixon, thank you so much for doing this. So cool of you, I’m really starting to enjoy trying your equipment…and things like this make me feel like you care about your customers. This is a very cool contest, but at this rate my team will be one of the worst. I’ll be coming back strong for the British Open Contest! I wish my classmates and I here at College of Golf in Florida could win this, it sounds amazing! What a contest! Thank you THP for hosting the contest and Srixon for incredible prizes and support!